The reactor chamber houses the UV lamp and sleeve. Water enters in one end of the chamber and leaves at the other. Whilst in the chamber it flows around the quartz sleeve which houses a powerful Ultraviolet light. The bacteria in the water is exposed to this intense light and any bacteria present is sterilized. The process is one based on a set of criteria including the length and width of the chamber, the UV lamp intensity, the flow rate of the water and the turbidity or clarity of the water. 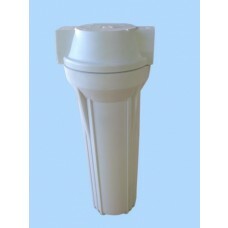 The quartz sleeve is a long, cylindrical tube of quartz glass intended to protect the UV lamp from the flow of water. Due to scale and other water born contaminants coating the outside of the sleeve over time, the sleeve should be cleansed whenever the lamp is changed. 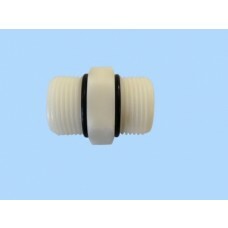 At the same time the seals that prevent water entering the quartz sleeve require replacement. All UV lamps are not the same. 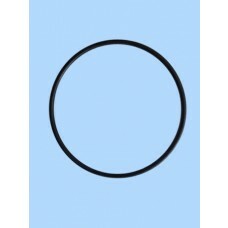 They vary in light output or wattage, and their length and diameter are different. They also have different connection plugs. Often you can have the same specification lamp which has a different manufacturers code. If you are in doubt about which you require it is best to check with us. A note of caution,connecting an incorrectly specified lamp which is the wrong specification to your ballast/ controller may well blow or burn it out. This is a costly part and so it is best to check if unsure. The UV Controller often referred to as a ballast is the unit that controls power to the UV lamp. These controllers come in various forms from quite simple to very complicated in design. They perform various functions from providing count down day functions for lamp use to alarm both visual and audible for lamp failure. Some of the more sophisticate units also have light sensors attached to monitor the light intensity from the UV lamp. 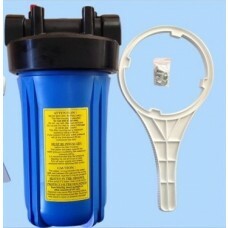 A commonly used gauge for both pump & mains water supply systems. 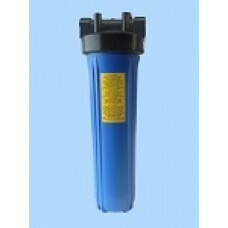 Used for under bench or RV / boat.